Buy New Nikon EH-5b AC Adapter for Various Nikon Cameras P7100, Nikon1 V1, D300, D3000, D3000S, D3100, D3200, D40, D40x, D5100, D60, D70, D700, D7000, D70s, D80, D800, and D90 Malaysia At FotoZZoom! 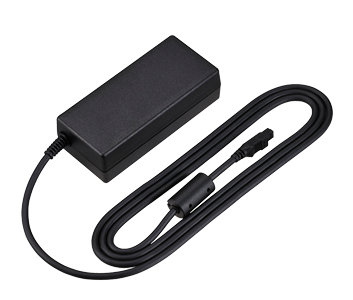 The Nikon EH-5b AC Adapter for Various Nikon Digital Cameras is an optional power supply for an array of Nikon digital cameras. It is compatible with the Nikon Coolpix P7100, the Nikon1 V1, and the D300, D3000, D3000S, D3100, D3200, D40, D40x, D5100, D60, D70, D700, D7000, D7100, D70s, D80, D800, and D90. Plugging the adapter into a wall outlet and charging your camera this way saves battery power and comes in handy when the camera is being used indoors for extended periods of time, such as during studio sessions, while uploading files to a PC, or while playing back media on a TV. Plugging the adapter into a wall outlet and charging your camera this way saves battery power and comes in handy when the camera is being used indoors for extended periods of time, such as during studio sessions, while uploading files to a PC, or while playing back media on a TV.